Explanation: If you see a sky like this -- photograph it. A month ago in Iceland, an adventurous photographer (pictured) chanced across a sky full of aurora and did just that. In the foreground lies the stratovolcano Öræfajökull. In the background, among other sky delights, lies the constellation of Orion, visible to the aurora's left. 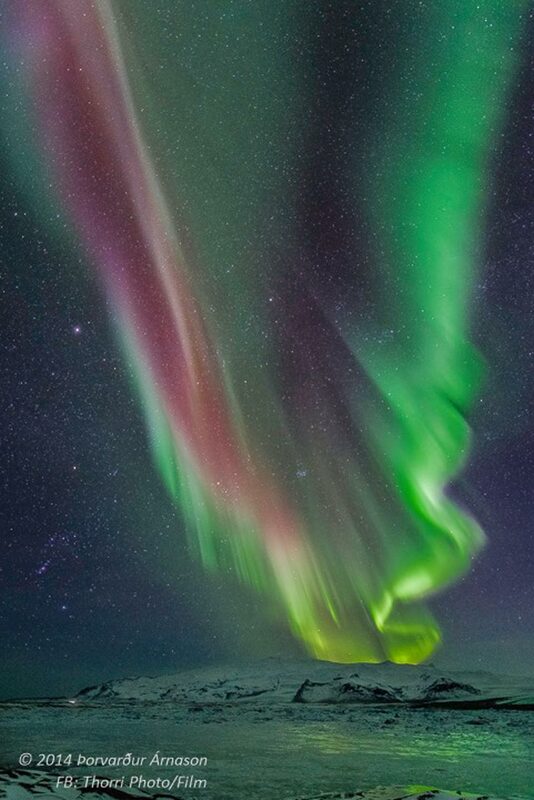 Aurorae are sparked by energetic particles from the Sun impacting the magnetic environment around the Earth. Resultant energetic particles such as electrons and protons rain down near the Earth's poles and impact the air. The impacted air molecules obtain excited electrons, and when electrons in oxygen molecules fall back to their ground state, they emit green light. Aurorae are known to have many shapes and colours.